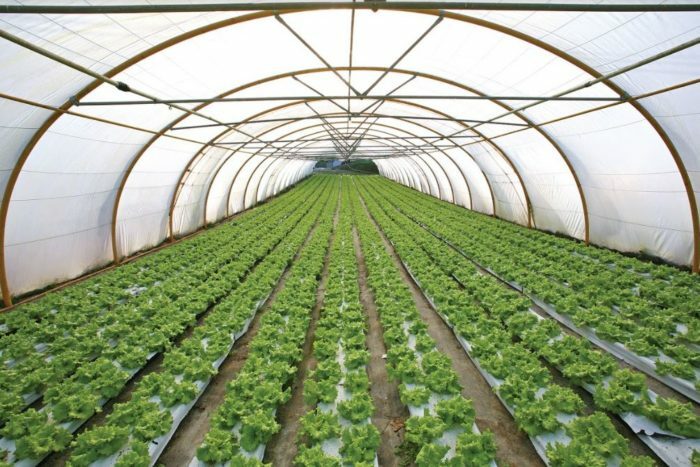 High tunnels are considered an intermediary between greenhouses and open fields. Most growers use high tunnels in conjunction with growing in the ground as opposed to the hydroponics often found in greenhouses. Dr. Xin Zhao has been researching the effects of high tunnel systems at the University of Florida, and she answered a few questions about the intriguing growing practice. Central Florida Ag News (CFAN): How much are high tunnels being used in Central Florida agriculture? Dr. Xin Zhao: We are just starting to do the research about the application of high tunnels in Florida and Georgia. We are about to launch a statewide survey to get that information. But I can tell by the increasing number of attendees at our workshops that there is a growing interest, and some of them are in the Central Florida area and have tunnels. Local organic growers that have a small number of high tunnels are starting to see the benefits, so they plan on having more. People haven’t really thought that we need protective growing in Florida, but that perception is changing. CFAN: What are some benefits of high tunnel growing? Zhao: Depending upon the production system there are a number of benefits. First, it’s going to be a rain shelter, so you don’t have that impacting your plants. You have some control over the temperature as well. By increasing the temperature in the early season using the plastic film you can get an early start. Also, by providing that protection later in the season, in the fall, you can basically extend the season. In the summertime you can utilize shade cloth to lower the temperature. It is not a sophisticated system as what you will find in a greenhouse. You are using passive environmental controls in a high tunnel. Of course the cost is much lower than a traditional greenhouse structure. The ability to manipulate temperatures using a high tunnel system will allow growers to target an early market and also extend the season. It can help with year-round production and increasing crop yields. We are also looking at the post-harvest shelf life of crops such as tomatoes and leafy greens. In general, we’re seeing a higher percentage of marketable fruit coming from the high tunnel system versus open field. CFAN: What impact do high tunnels have on pests and disease? Zhao: In our tomato research we’re seeing better control in terms of early blight, a fungal foliar disease commonly seen in the rainy season here. The high tunnel system has a good impact on that. The rain shelter effect is working very well to reduce the disease pressure. However, there may also be challenges controlling certain diseases inside the high tunnel because of the humidity. You have to pay attention to mold and other diseases that are promoted by the higher humidity and temperature. Just like in a greenhouse, you may have more problems with aphids and whiteflies because of the relatively high temperature and humidity. You just need to pay attention to that and implement integrated practices to help you manage that. CFAN: How much is the initial investment? Zhao: It depends on the grower’s production needs, but typically we tell growers, depending on size and materials used, whether the structure is movable, whether there is automation, it can be as low as one dollar per square foot, up to six or seven dollars per square foot. For those who are interested in learning more about high tunnel growing strategies, Florida Organic Growers and UF/IFAS will be hosting two workshops in July. The first will be held Monday, July 24, 1:00 to 4:30 p.m. at Straughn Professional Development Center, UF, 2142 Shealy Drive in Gainesville. The second will be on Thursday, July 27th 9:00 a.m. to 12:00 p.m. at Frog Song Organics, 4317 NE US Hwy 301 in Hawthorne.